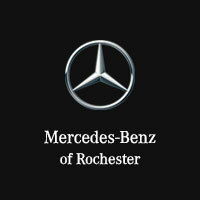 No matter your personal style, you’re certain to find a luxurious new car you love here at Mercedes-Benz of Rochester. Whether you want a new Mercedes-Benz C-Class car or new Mercedes-Benz GLC SUV, our new car dealership in Rochester Hills, Michigan has a stunning lineup of new vehicles for sale. Ready to experience our new inventory in person? Swing by for a test drive to experience the top-tier performance you expect. When you combine our new car specials with the competitive pricing throughout our entire inventory of new Mercedes-Benz models, you can’t go wrong here at Mercedes-Benz of Rochester. Thinking about trading in your current vehicle and buying or leasing one of our topnotch new vehicles in Rochester Hills, MI? When you value your trade at our new car dealership, you’ll uncover even more savings to put towards an amazing new car. To find out more details, pick up the phone and give us a call now. Thanks to convenient tools like our online auto payment calculator and online auto financing application, taking the next step towards one of our incredible new vehicles in Rochester Hills, MI is easy. We help drivers from Troy and Sterling Heights, MI get behind the wheel of their dream car. What are you waiting for? Give Mercedes-Benz of Rochester a call right now, and get into a new Mercedes-Benz GLE or Mercedes-Benz GLA today.